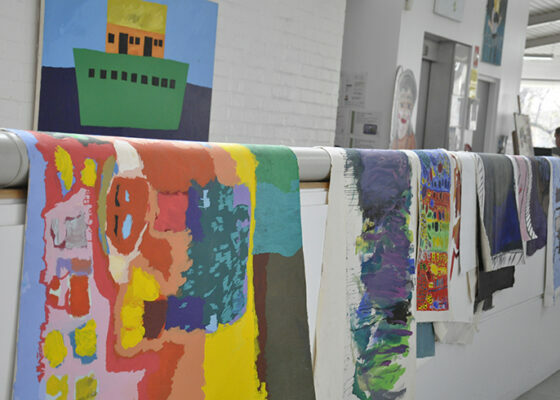 Our light and airy Northcote studio is a creative and accessible space for artists with intellectual disability. place to work and create. Our world class studio program offers these artists access to professional grade materials, the support of our highly qualified team of staff artists, and the chance to develop their art practice in an integrative, multi-disciplinary environment. To read more about several of our artist’s stories please take a look at our 2014 publication So Far…. 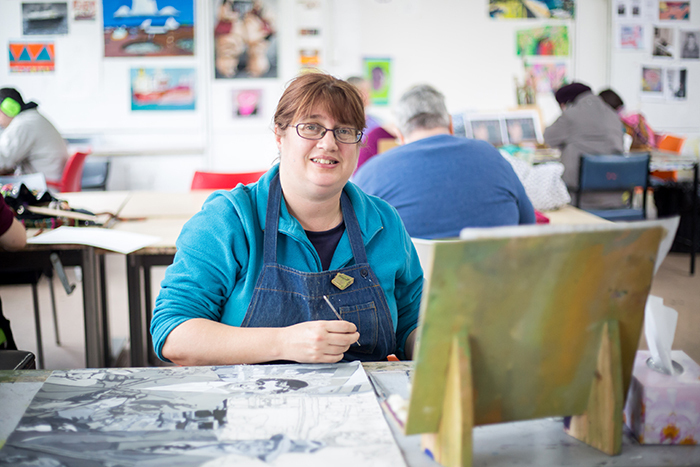 Through our 2D, Ceramics, Printmaking, Digital, 3D and Professional Practice programs, attending artists have the opportunity to explore, develop and expand their art practice through a range of disciplines. 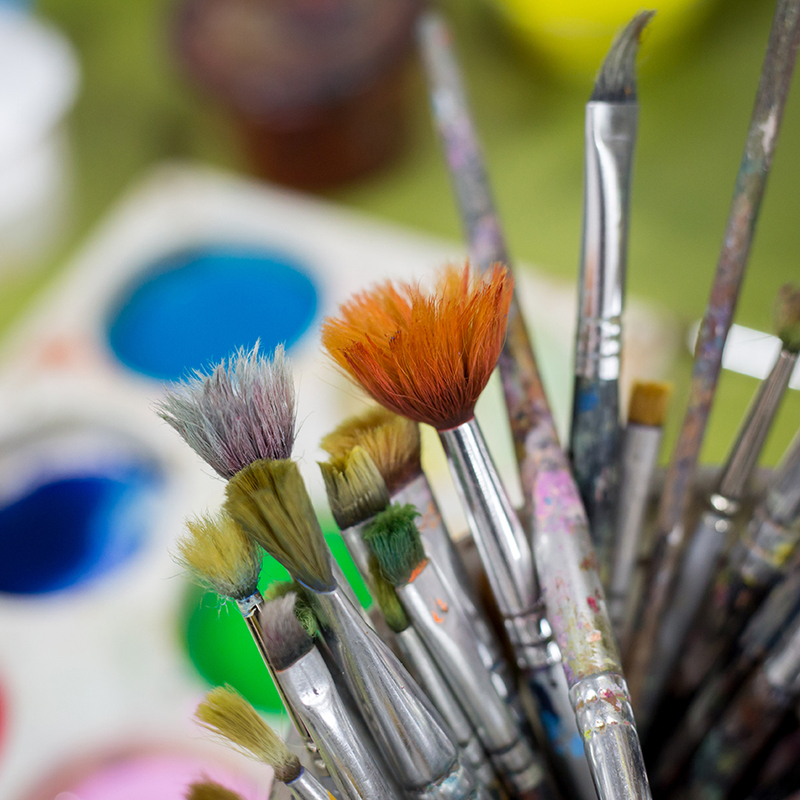 Artists also have the potential to exhibit their artwork, through the Arts Project gallery, external galleries and venues, and the leasing program. Artworks created in this unique environment feature in collections and museums worldwide. 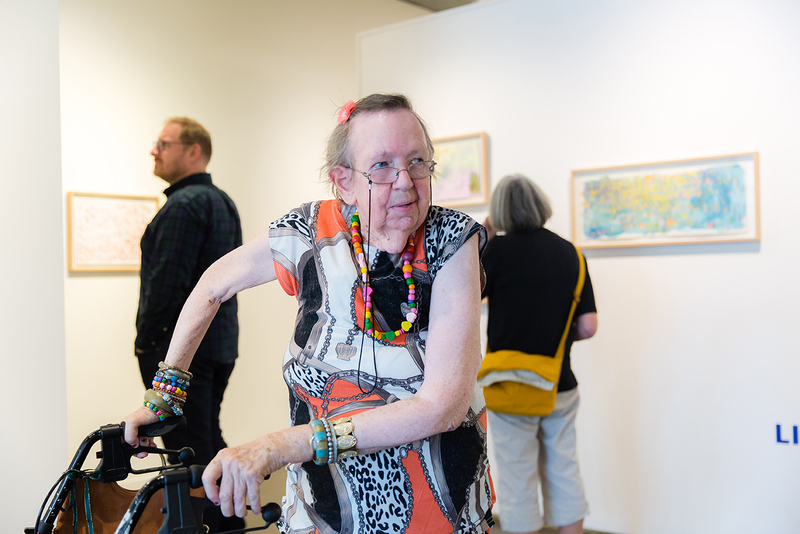 Arts Project Australia provides a safe and supportive environment that encourages the artists to stretch their creativity and artistic practice. I am unsure if artists working alone, or in an environment that wasn’t dedicated to their needs, would demonstrate the same creativity. 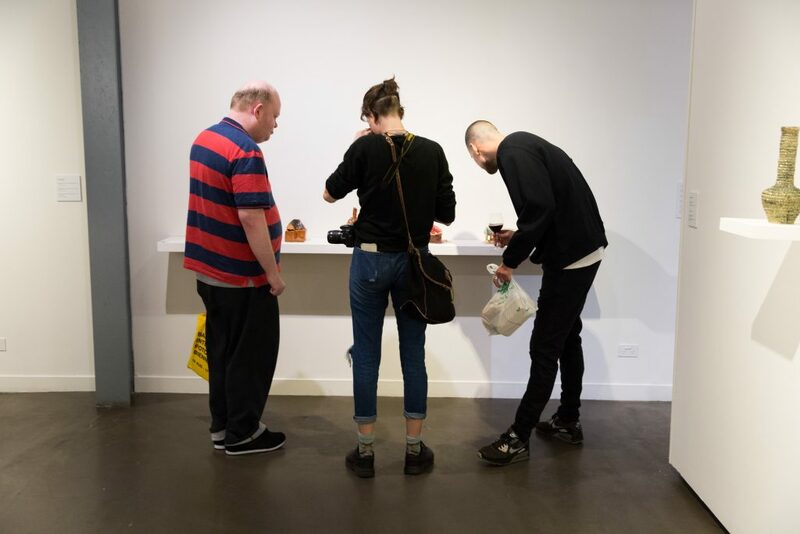 At present 120+ artists are enrolled and attend the studio each week, with individual attendances ranging from one day a week to full-time. Open weekdays 9.30am – 3.00pm, and Saturday mornings 10.00am – 12.00am. 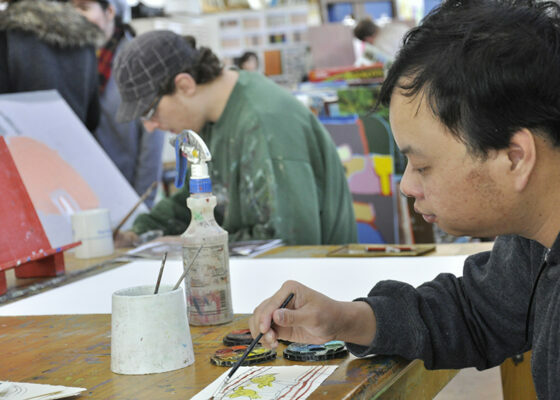 > For information on funding, visit our ‘Funding & NDIS’ page. 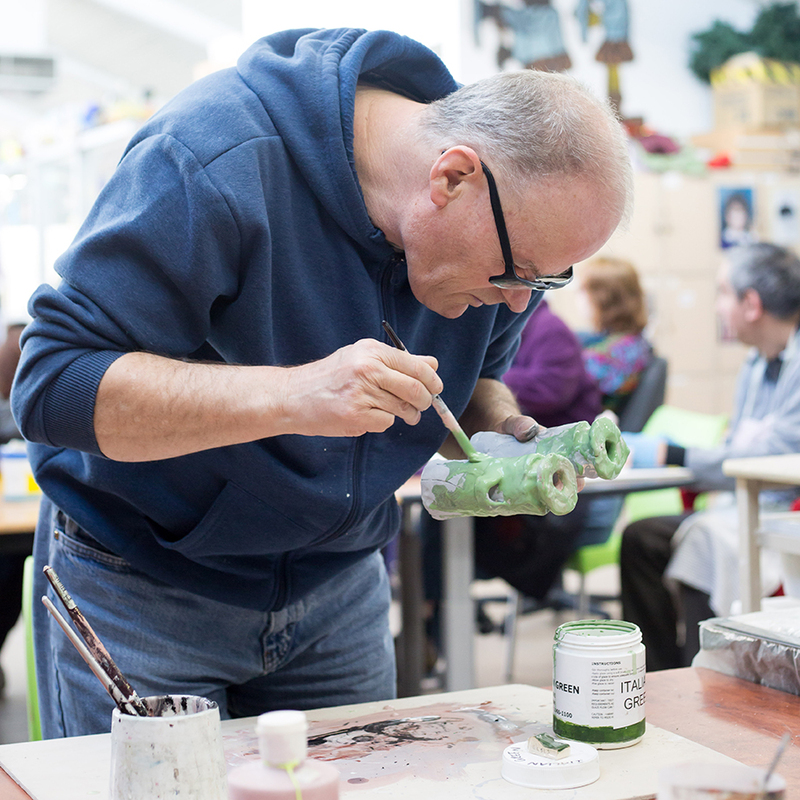 > For information on joining the studio, visit our ‘How to Join’ page. 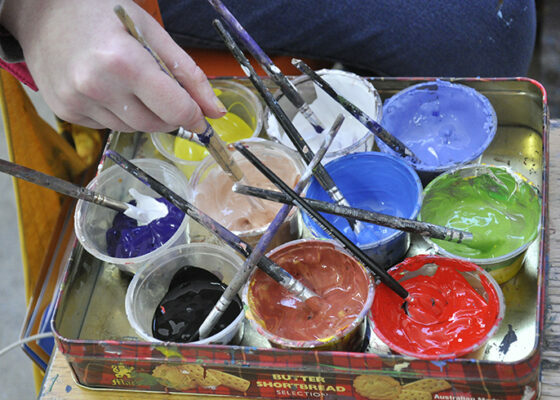 > If you’re an artist or support an artist, visit our ‘Useful Information For Our Artists’. 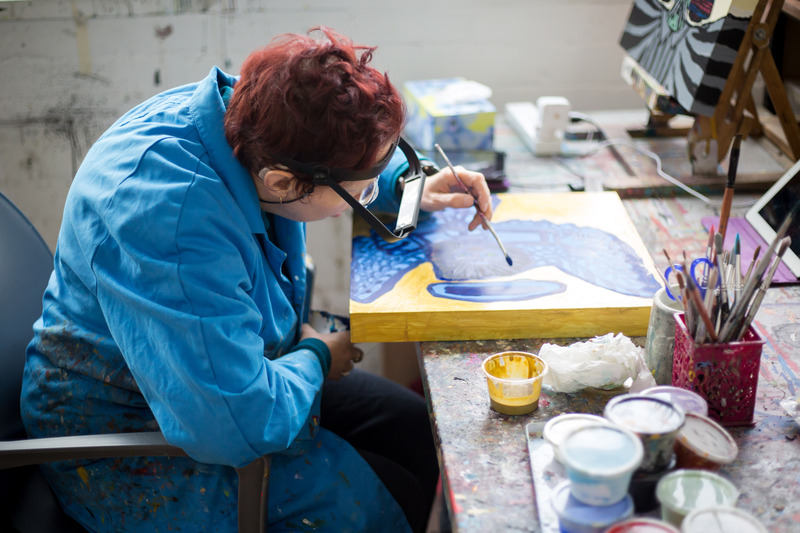 Arts Project is a very professional organisation with a person-centred approach to its artists. I see a vision to support their artists to create independently and unhindered, always encouraging the development of their skills… Our son has greatly developed his artistic ability over a period of ten years at Arts Project and is establishing himself as an artist with a distinct style that attracts buyers Australia-wide and overseas.